"Competitive Prices - Free Quotes - Free Planners"
For all occasions - birthday - wedding - retirement - anniversary - engagement - theme nights - personal & professional. Today a professional DJ is more than just a person that plays music. For your day, you want to know that you have hired someone that, no matter what happens, will be there for you, and will be calm and able to do whatever it takes to help make your day perfect. We will meet with you to help plan your party/reception, from the first dance, father-daughter and mother-son dance, wedding party dance, any and all toasts, cake cutting, bouquet toss and garter toss etc.. We want to give you the personal touch that you deserve. Your party will have our full attention. Also we are the entertainers you will get. You talk to us, meet with us, put your trust in us and we'll be the ones at your party. We have performed at parties & weddings with as many as 250 and as little as 40. No matter what size, we can help you make it special. We also offer free party & wedding planners so nothing is missed. You are welcome to supply a music list if you wish. Required by many venues, DJC Entertainment has a current PLI policy with Mobile DJ Network in the amount of £10 million. Also required by many venues, DJC Entertainment has supplied satisfactory evidence of holding current PAT inspections of their equipment dated within the last 12 months. Why do people choose to book DJC Entertainment? "Cliff was lovely. Very organised and went to the venue in advance to be prepared to set up properly. Organised my play list very well. Very reliable. Would highly recommend him. " "Thank you for your feedback, it is really appreciated. So happy that you enjoyed the evening. Hope to be at your next occasion. Best Wishes..Cliff"
"I would like to say a big thank you to Cliff. Everyone had a great time at my party and loved the music played. I love dancing and, even though I had to be the hostess with the mostest managed to dance my socks off! Cliff was also a great listener, when I was feeling stressed prior to my guests arriving, so thank you Cliff! It was an evening that I will always have fond memories of." "Thank you for your feedback it is really appreciated. So happy that you enjoyed the evening. Hope to be at your next occasion. Best Wishes..Cliff"
"Cliff provided a fab service. He made the effort to visit us following our booking to go over details. Really friendly and professional. Would highly recommend." "Many thanks for the positive feedback. It was an enjoyable evening and pleased you were happy with everything. Hope to perform there again in the future. Best Regards Cliffx"
"Very good choice would yous again"
"Thank you for your kind feedback. Would be happy to help again, and happy to return to the venue at anytime. 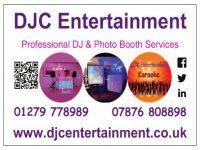 Best Regards"
"DJC Entertainment are a professional outfit that played good music to keep people dancing. I compiled a playlist for them which I would never do again. On the night he played my playlist and nobody danced for the first hour and a half at which point he ditched my playlist and got on with the job he is good at and played what he deemed was right and single handedly saved my wife;s birthday party for which I am very grateful!" "Thank you for leaving such positive feedback. I appreciate it a lot. So pleased you and your guests enjoyed the evening and hope to be able to entertain you again in the future. 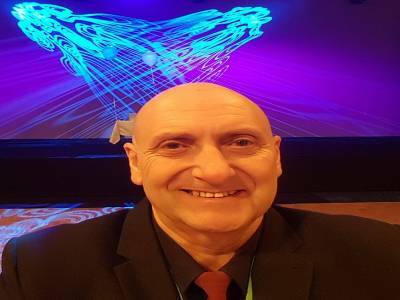 Best regards Cliff"
DJC Entertainment also offers a range of additional party services not directly linked to musical entertainment. Please note that needadisco.com has no editorial control over these images which are stored on flickr.com. If you have any concerns about what you see below, for example potential copyright infringement or unsuitable content, you should take this up with DJC Entertainment directly using the Contact section below, or else you may alert flickr.com directly quoting "set number 72157674221779440". You may contact DJC Entertainment directly using this form. If you are contacting DJC Entertainment about an event, it's always a good idea to include the DATE, LOCATION, EVENT TYPE, AGE GROUP and TIMINGS to speed things up!